"GOLDEN ROBOT" is one stop resources to create the advanced robot systems for supporting our clients to be modern and automation. “GOLDEN ROBOT” is a Robotics Solution Provider(RSP). 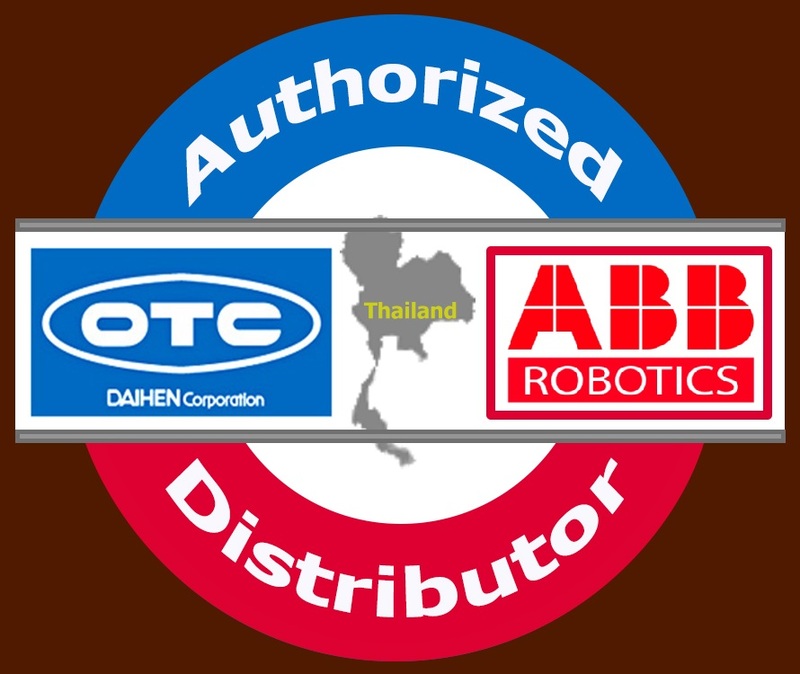 This company doing both Expert System Integrator(ESI) and Authorized Distributor(AD) of OTC DAIHEN and NACHI’s advanced welding machines and industrial robots. As an ESI, they are specialize in built-up robot systems with unique and standard designs that reflect to our clients. 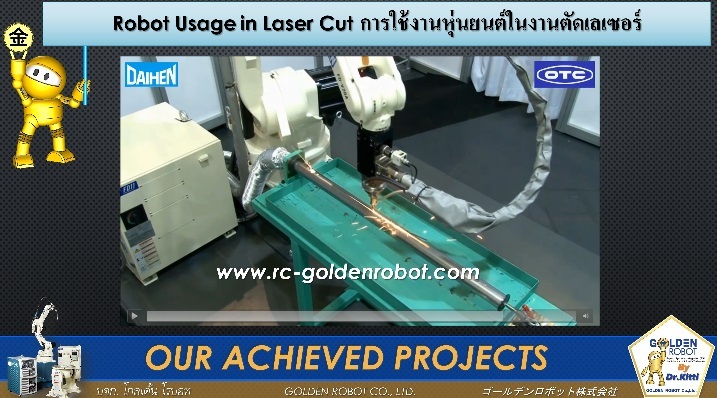 Golden Robot will bring practical robotics welding and handling knowledge to users for supporting the development of Thailand. Here at GOLDEN ROBOT we make sure that all jobs must completed from beginning to the end and that our customers are happy with the quality and engineering throughout. Allow GOLDEN ROBOT and our team to help you to create the better factory out of your conventional working spaces ! Partnership with SICK gives our team access to the best lines of industrial safety devices and sensors. We specialize to built-up Advanced Robot System for producing the quality products that meet to our clients’ desires. “We do know that, each clients have their own unique/standard of productions”. Partnership with “Thai-German Institute, TGI” gives our team access the quality training, test labs & showroom at Amatanakorn Ind.Estate. Our MD was graduated Dr.Eng from WASEDA University (Tokyo, JAPAN). He is holding an academic position as Invite Researcher here. 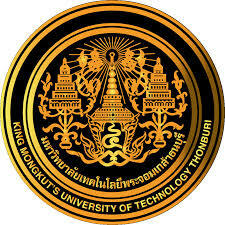 Our MD was graduated B.Eng from King Mongkut’s University of Technology Thonburi (KMUT-T). We also signed MOU with faculty of Engineering for academic cooperation. By including the best quality goods like OTC-DAIHEN and NACHI appliances to the advanced industrial robots, we can help you to create your dream factory. Partnership with De-Sta-Co gives our team access to exclusive lines of Toggle Clamps, Power Clamps, handling tools and end-effector. Partnership with Baumer gives our team access to the best lines of vision sensors for objects recognition. 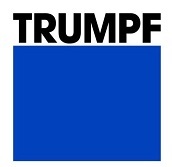 Partnership with TRUMPF gives our team access to the best lines of Laser Technology Such as Welding and Cutting. 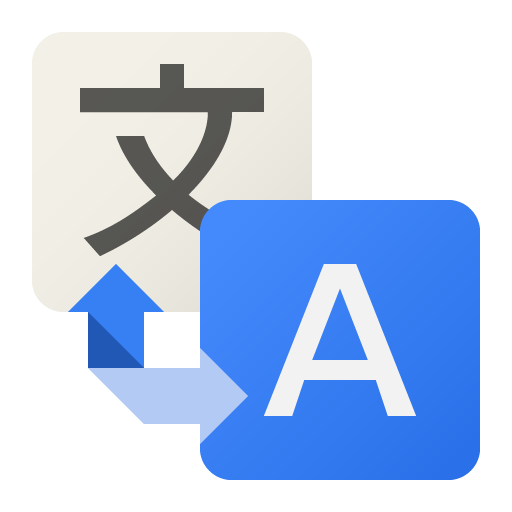 Partnership with Robot Inc. gives our team access to the best lines of CSJbot's Services Robots. Also Education Robots​ (LEGO). Partnership with Siegmund gives our team access to exclusive lines of jigs and fixtures. To be more cooperation ! 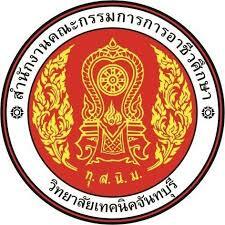 Our MD was graduated Vocational Level from Thai-Austrian Technical College. There are many academic cooperation in EEC Project. Our MD was graduated Diploma Level (EM33) from King Mongkut’s University of Technology North Bangkok (KMUT-NB). There are many academic cooperation in Rayong campus. We have signed MOU with Chantaburi Technical College for academic cooperation. There are many academic activities together. 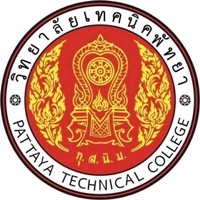 We have signed MOU with Pattaya Technical College for academic cooperation. There are many academic activities together. Partnership with GIMATIC gives our team access to exclusive lines of Pneumatic Automation and end of robot arm tools. 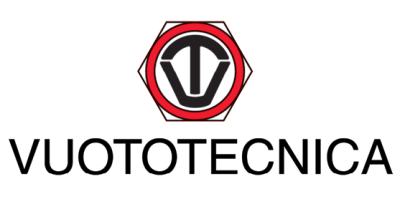 Partnership with VUOTOTECNICA gives our team access to exclusive lines technologies for creating and handling vacuum. Partnership with DELTA gives our team access to the best lines of PLCs, HMI, Servo Motors and SCARA Robot.